Home to a robust mix of employers and a culture of innovation and entrepreneurship, Washington ranks as a top-10 state for job growth and a top-five state for personal income growth per capita. The future continues to look bright with 740,000 job openings projected in our state by 2021. However, a closer examination of economic performance reveals significant gaps in regional growth and prosperity. State policymakers have an opportunity in 2018 to lay a foundation for diversified and inclusive growth that benefits communities and individuals across all of Washington and make progress toward better preparing our students for the opportunities being created here. In advance of the upcoming legislative session, we are pleased to release our 2018 Policy Agenda which outlines the Washington Roundtable’s policy priorities. These priorities focus on two overriding issues: Education and Economic Vitality. The majority of job openings in our state that offer good salaries and opportunity for advancement will be filled by workers with a postsecondary credential—such as a degree, apprenticeship, or certificate. Yet, less than one third of Washington’s students attain such a credential by age 26. Far too few of the young people growing up here are getting the education and training necessary to take advantage of the career opportunities being created here. We can and must do better. Pursue the highest leverage opportunities available to reach the following goal: By 2030, 70 percent of Washington high school students will go on to attain a postsecondary credential by age 26. Ensure that Washington’s youngest learners enter school ready to learn and excel. The Washington state economy is thriving, but prosperity is distributed unevenly, and some communities are outright struggling. Lawmakers should take steps in 2018 to foster statewide economic growth, with specific emphasis on spreading opportunity and prosperity to Washington’s rural areas where recent growth has trailed the state average. Eliminate duplicative regulation and ease regulatory burdens, particularly in rural areas. Support policies that promote economic development and job growth, particularly in non-urban regions. Promote transportation infrastructure asset preservation and maintenance. Read the full 2018 Policy Agenda here. In ‘Around The Table,’ we highlight member news and share information on industry trends. This week, we shine the spotlight on Boeing, Pacific Northwest National Laboratory, Seattle Seahawks, and Virginia Mason. Boeing has announced more than $50 million in grants to more than 500 nonprofit organizations across 50 countries globally, with many located in the Puget Sound. The annual contributions include a three-year commitment of more than $25 million in support of veterans’ recovery and rehabilitation programs and transition services. Boeing has invested in a total of 188 grants targeting increased STEM diversity, proficiency, and interest among K-12 students. The charitable grants package will fund programs through 2018 and supplement an anticipated $117 million in company-wide business and employee contributions to similar causes—bringing Boeing’s total community investments to approximately $167 million this year alone. Read more here. 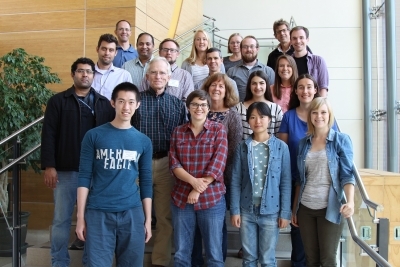 Students from the University of Washington recently took a two-week short course on atmospherics sciences at the Pacific Northwest National Laboratory (PNNL). The course was taught by PNNL scientists and engineers and focused on themes such as airborne instrumentation and measurements, data management, and atmospheric chemistry. “Learning it from the experts, the instrument mentors, you can’t beat that,” said Sam Pennypacker, a third-year graduate student at UW. “You can only get so much from reading documentation.” Read more about the learning experience at PNNL here. 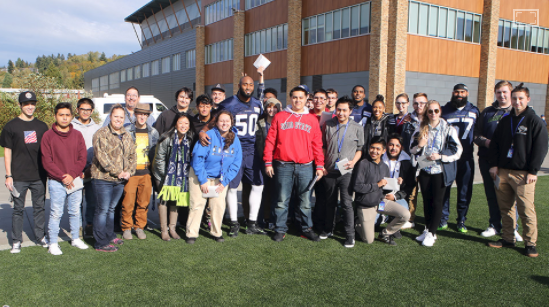 A group of high school students with the Work Force Development Center (WDFC) thought they were lucky to be invited to watch a Seahawks practice in Renton last month. But the real surprise came when Seahawks linebacker K.J. Wright came over to the group and offered tickets to students to see the Seahawks take on the Houston Texans on October 29. WDFC was one of eight organizations recognized and rewarded through the Legion of Youth Powered by Boeing (LOY) program. LOY is a unique community program created by Boeing and the Seattle Seahawks in 2014 to provide Seahawks game tickets to community organizations that serve youth throughout the Northwest. This year’s newest recipient, WFDC, provides disabled and economically disadvantaged high school students with aerospace apprenticeship training. Read more about the story here. 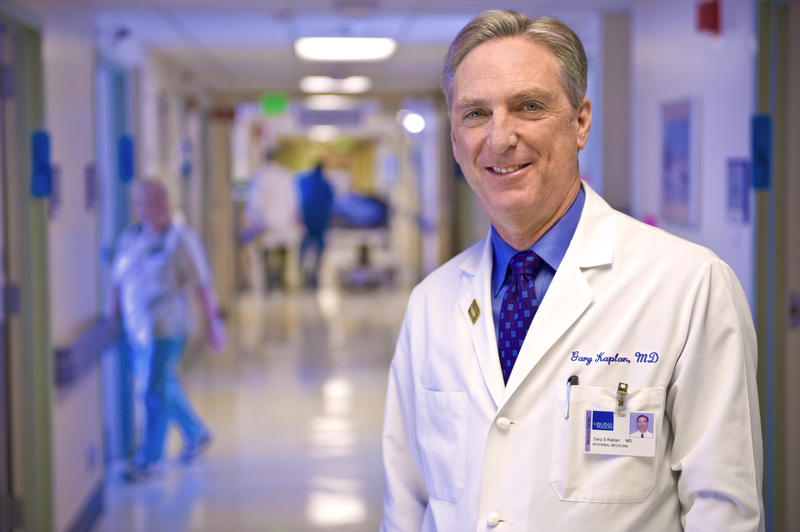 Virginia Mason Medical Center was recognized as one of the best hospitals in the nation for patient safety performance. The Leapfrog Group released its fall 2017 Hospital Safety Grades last week, and Virginia Mason received a perfect A grade – a grade the center has received in every scoring update since the ranking system’s inception in 2012. The safety grades, released every fall and spring, are based on 27 quality measures, including nurse communication, hand hygiene adherence, and surgical site infection rates, among others. Read more here.